Avon Industries are Northlands's only all in one Hot Dip Galvanizing and Productive Engineering / Blast and Paint Facility. At Avon Industries Ltd we offer a blasting facility that includes both grit or garnet blasting for any steel preparation. Grit Blasting Booth 15M x 6M x 6M fully enclosed with automatic grit recovery. 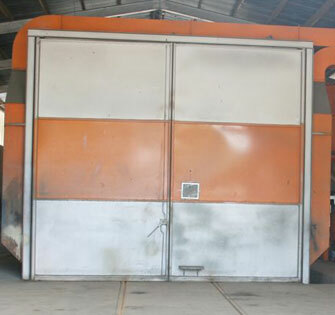 Garnet Blasting Booth 15M x 6M x 6M fully enclosed with automatic garnet recovery. We also offer industrial painting and Avon Industries Ltd can protect your project where you need it. For further enquiries please contact us at Avon Industries Ltd – 09 435 1033.